Take highway 26 north from Madras (or south from the Mt. Hood area) to reach Warm Springs. 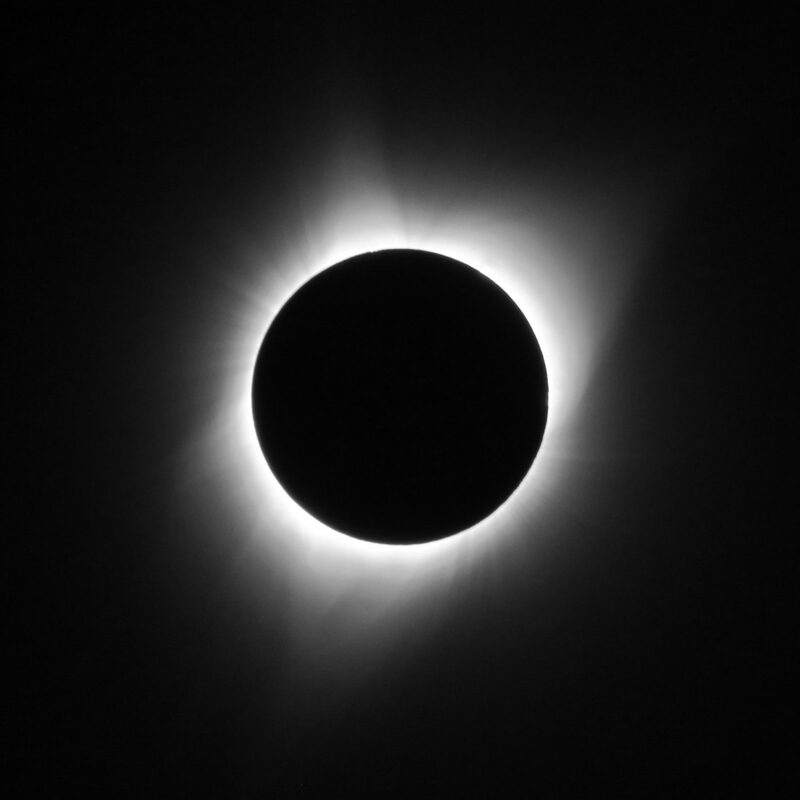 I drove to central Oregon to experience the Great American Eclipse in the path of totality. I purposely chose a location--Warm Springs--that was in the geographical center of the path. Additionally, I snapped this particular photo at the midway point of the eclipse--just over a minute in--to capture the moment in which the moon was most centrally located in front of the sun. As such, given the combination of geography and timing, this photo represents the apex, or "center," of this profound event.